I’ve not spoken about my skin for a while, mostly because I’ve come to terms with it. I will never have crystal clear poreless skin, but that’s just me, and it’s something I’m learning to accept. That being said, I thought I’d write a little intro to this post, just to catch anyone up who doesn’t know about it. For years, I thought I had psoriasis on my face. In University, I noticed a red patch of sore and red skin growing from my hairline down to my eyebrows. My doctor, assuming it was also psoriasis, gave me some cream. This didn’t work, and the rash continued to grow. After seeking a second opinion, I was told it was eczema and told to try some steroid creams. As the rash reached my cheeks, I become severely depressed, and demanded to be referred to a dermatologist. I did this with my mum in the room, because I was anxious about raising the issue. 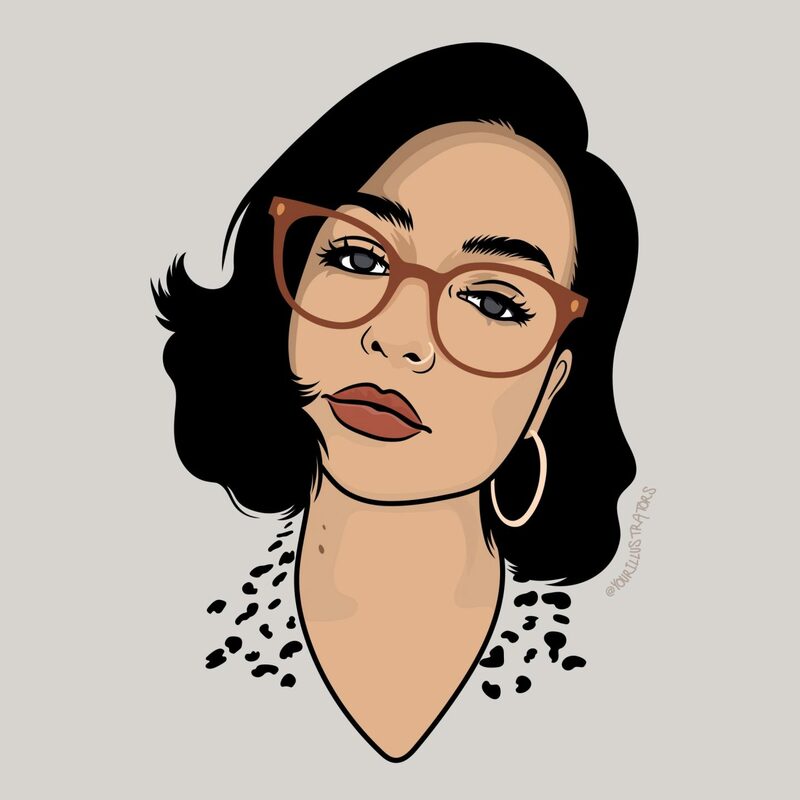 Since this, I have been diagnosed with Seborrheic Dermatitis, and I’ve been trying to get on with my life. Some things help the flare-ups, and others definitely do not. 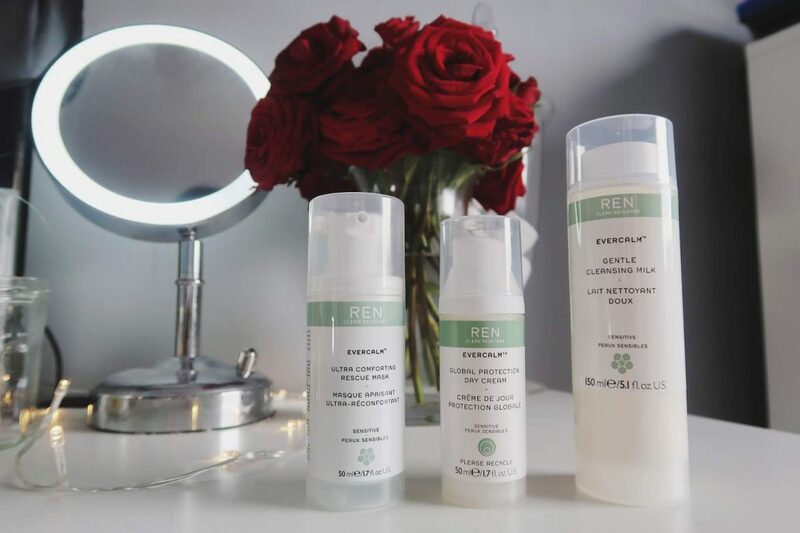 But when I was offered the chance to try the Evercalm range with REN Clean Cosmetics, I decided to try it out for other people who have been diagnosed with the same problem as me! 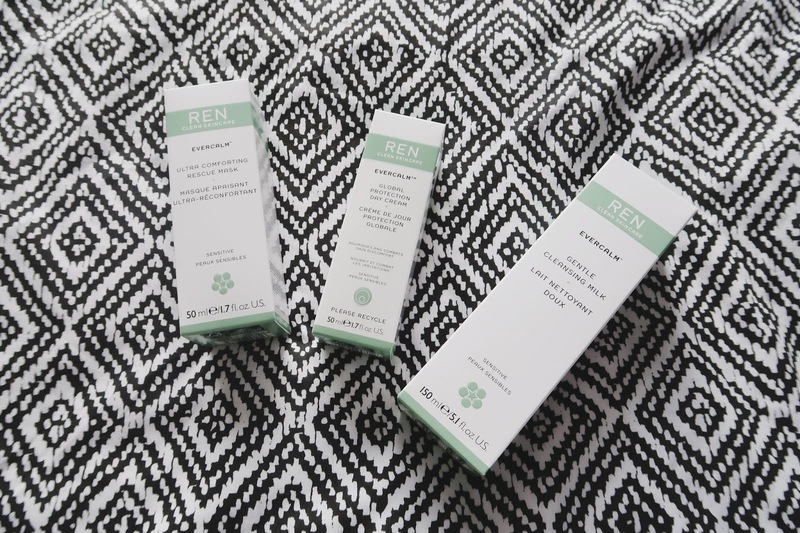 Up until now, cleansing gels and milks have never really worked on my skin. They tend to super dry out my face, but with this, I think I’m on to a winner. 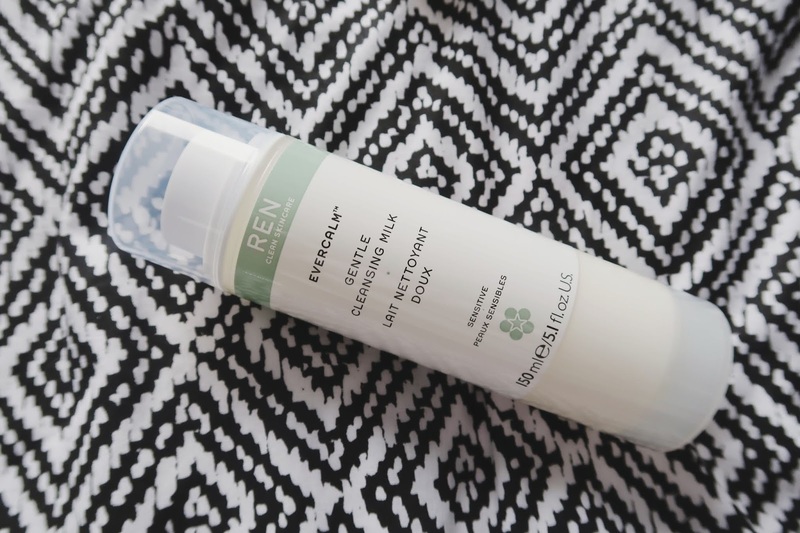 I use this after my face scrub, which removes the dry patches and lather it up in my hands before rubbing into my face. The texture is quite thick, which is perfect for my skin, and glides on without any drying or painful tingles. I wash it off and pat my face dry. So far, I’ve had no problems with this milk, it seems to leave my face feeling smoother, and doesn’t dry out my problem zones. I then either put on the day cream or E45, depending on how dry my skin is that day. I used this mask for the first time last night! I was waiting for the perfect time to relax and slather this on, so I lit some candles, got in the bath, and relaxed for 10 minutes or so with this all over my face. 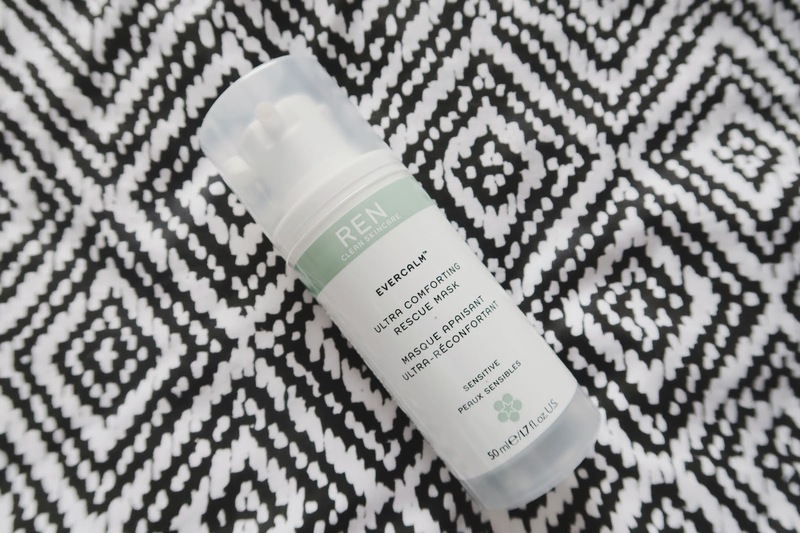 The consistency is thicker than the Cleansing Gel, and again it doesn’t dry out on your face. Simply wash the remainder off. This mask also leaves your face feeling smooth and plump, and I feel like I could notice the redness on my cheeks look less firey. Now, if you have super dry skin, I wouldn’t recommend just using this product. I’d maybe put this on after a shower and then top up with E45 or rosehip oil about 20 minutes later. I found that although this is great for getting rid of some redness, it doesn’t hydrate the Sahara desert that is my forehead. 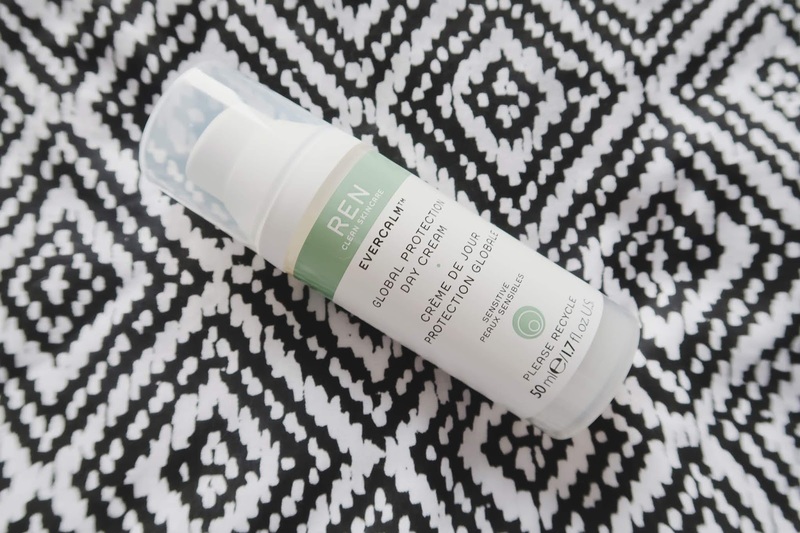 This may be totally different for those who suffer from redness/acne and no dryness though! I still recommend giving it a try nonetheless.